If you eat food you need to see the documentary Food Inc. 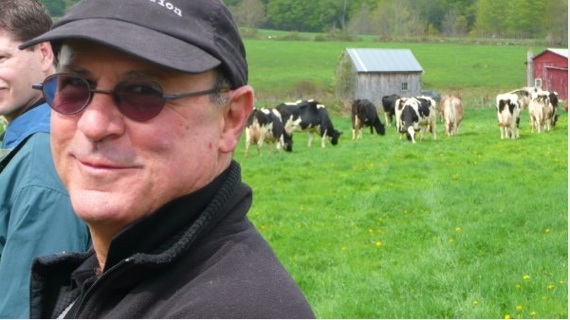 When I first met Robby Kenner I thanked him for making a film that I could give people instead of having to explain all the details of why they should be paying attention to industrial food production. When you see those colorful aisles of products in the supermarket not only are they all made by a small handful of companies, but most of them are just different combinations of the same substances made to resemble food. Right now in California, Monsanto is pouring money into their effort to stop the state’s voters from mandating GMO labeling. But what about the loss of habitat for heritage crops amid the aggressive spread of these agricultural killer zombies? If you’ve seen Food Inc. you might be surprised to learn that Troy Rousch, the pro Monsanto farmer, is supporting California’s initiative because he thinks consumers should have the right to know, and the free market, not manipulation, should decide the fate of GMOs. 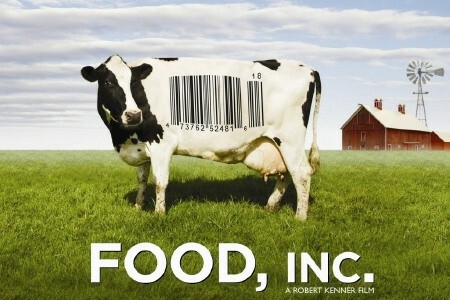 Food Inc. is one of the top 25 grossing theatrical documentaries of all time. It hit number one on Amazon.com beating out all the Hollywood blockbusters. One of the most striking things about Food Inc. is that it tells the horrifying truth with hypnotically beautiful visuals. Over six years in the making, it received widespread critical acclaim, and dozens of awards, including an Academy Award nomination. But Kenner’s work consistently earns accolades. He received a Peabody and an Emmy for Two Days in October his American Experience documentary for PBS about a day in the life of the Vietnam War seen through the eyes of a soldier in the field and a peace protestor back home. With Richard Pearce he created The Road to Memphis for the Martin Scorsese series, The Blues. Newsweek called The Road to Memphis “as fine a film as ever was made about American music.” Kenner has directed numerous specials for National Geographic and American Experience. His HBO documentary about five encounters with online love When Strangers Click inspired a subculture of Internet relationship confessions, and was nominated for an Emmy in 2011. He’s currently at work on another film for Participant Media, the company he partnered with for Food Inc.
Not only does Kenner make beautiful films, he provides a model of ways filmmakers can further their impact on the causes they document. With the help of allies in Silicon Valley and academia Kenner launched FixFood.org to showcase a series of animated web & TV spots about the unsustainability of our industrial food system. Each campaign gives consumers a practical action to take that can help address the problem. One of the shorts focuses on the looming disaster of overuse of antibiotics in our meat. 80% of the antibiotics sold in the U.S. go to factory farms, fed to animals so they can survive their crowded, unsanitary conditions. Antibiotic-resistant bacteria, superbugs, bred in these farms entering the air, the water, and our food cause sickness for which we have no medicine. The FDA hasn’t done anything to address this problem, only we consumers can. Another short urges consumers to contact the USDA about their pending approval of GMO corn that can resist the chemical 2,4-D, a principle ingredient of Agent Orange. Go to Fixfood.org and learn how you can make a difference. It will only take a few minutes, but it might change your life, and the lives of future generations. Robby Kenner was kind enough to take the time for an interview, adding Newtopia to an illustrious list including Time Magazine, Oprah, the Daily Show, and the New York Times. When you made Food Inc. you thought you were doing a simple film about where our food comes from but you wound up confronting corporations who wouldn’t allow questions to be asked, let alone answered. Three years later where are we? Are things as bad as ever or are there signs of progress? I think, to begin with, in making Food Inc.,these food corporations ultimately weren’t interested in having consumers look and find out how the food is made, or where it comes from. I was just really surprised to see how much they just didn’t want us thinking about what’s in our food, and how it’s prepared, how it comes to us. That was a surprise, how off limits it was. Obviously, slaughterhouses shock people, but where does chicken or meat come from? A slaughterhouse. At the same time there’s far more than that they don’t want you to think about, like healthy cereal with blueberries in it that has no blueberries in it and nothing healthy. What’s happened since Food Inc.? I think the film and numbers of books, and a growing movement, created a large movement of more and more Americans who became more and more concerned about what they were eating. I think this took the food companies by surprise. Big surprise that people really cared about what’s on their plates. They found it very inconvenient. I think they were really thrown off and didn’t know how to respond for a while. On one level I think they thought they were doing God’s work. They were sending us a lot of calories very cheaply. Unfortunately, the consequences of that cheap food is becoming more and more clear, that ultimately it’s making us very sick, and that cheap food is ultimately way too expensive. I think there was finally a backlash from these companies saying hey you know corn syrup is good for you, or this or that. Not really wanting to look at the problem. And now we have the Just Label It! campaign about GMOs. I was part of a campaign about antibiotics in the meat. I think we should have more transparency. I think people should have the right to know what they’re buying. If you want to go buy a Big Mac, great, go buy it, but we should have the right to know. And we should also factor in how much this is costing us all. I don’t want to pay for these companies to make huge profits polluting our land and making us sick, and I have to cover the bill as a taxpayer in multiple ways. I think we’re fed up with that. 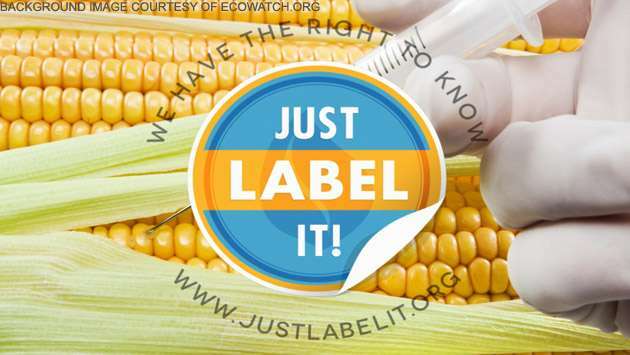 Just Label It! got 1.2 million plus to tell the FDA to label GMOs. Meanwhile Monsanto has spent millions of dollars supporting the No on 37 campaign in California. What do you think of 37, and do you think it will pass? I’m told that there’s a chance at the moment that it’s going to pass. Though I have to believe there’s going to be a ton of money coming in to stop it. I presumed it didn’t have a chance. Right now I’m being told it’s looking good but things can change very quickly. It’s just amazing. Here’s my argument about GMOs. On one hand these guys were able to say this product is absolutely different to the point that we can patent it. But it’s not different enough that we have to label. I think there seems to be an inherent contradiction in that. I can’t tell you it’s absolutely bad. But I was just speaking to the corn farmer Troy Roush who was in our film, who uses numbers of Monsanto products. He had just come back from a Monsanto sponsored vacation. I asked him about being a corn farmer using GMOs and he said you have to use the latest products to stay competitive. I asked him what’s happened since Food Inc. and he said well unfortunately these latest products have a terrible side effect. The one downside, if Food Inc.helped sponsor a more localized fresh movement, and buying from farmers, is that the new GMOs, the spray that you put on them, are eliminating everything but commodity crops. So any specialty items like tomatoes, carrots, broccoli, they are all getting killed. They’re not going to exist in the Midwest. That was Troy talking, a guy who’s a conventional farmer. How do you feel about water? Is the current drought doing anything to change the way corn subsidies have been used to fill our supermarket aisles with different variations of the same crap? The fact is that people were saying the green revolution is going to save the world with drought tolerant crops, which hasn’t come to fruition. One of the big problems is that we’re growing corn that we’re feeding to our automobiles. People around the world are going to starve because of it. Ultimately we have to learn to eat less meat. We have to eat differently if we’re going to survive on this planet with seven billion people. Obviously there are fewer and fewer resources for more and more people, and meanwhile meat takes an astounding amount of water. We need to become more conscious that it’s not our god given right to waste. What’s Fixfood.org working on now? I don’t really want to talk about it, but we have a new campaign in the works. The antibiotic and GMO campaigns still have large numbers of people signing. The purpose of Fixfood was that I would go around and talk and people would ask what can I do and I think it was trying to create a movement so there would be legislation through retail which could help bring about change. It’s so hard to bring about change within the government. I think ultimately these companies will listen to their consumers, and that’s what Fixfood is attempting to do, to get consumers to take action. You recently went to Japan to visit an organic farm that’s been operating since the 70’s. Did you speak with the locals about Fukushima? Were you nervous visiting there? What did you learn from your trip? I think there are parallels between Fukushima and GMOs. There’s the precautionary principle that’s been violated. In Fukushima we had teams of nuclear experts who said their sea wall would never be penetrated. It proved to be a disaster. With GMOs we say don’t worry these things won’t contaminate the rest of the world. They say these things are safe and yet we don’t know for sure. Maybe they are. But we’re violating the precautionary principle. The people in Japan were very concerned and felt very violated because they have a lot more trust in their government than we do in ours. All of a sudden everything was being questioned in a way that it had never been questioned before. Robby Kenner visits a farm in Japan in May 2012. At my kitchen table you told the story of a Food Inc. screening where some of the biggest CEO’s had to watch the film and then were allowed to ask you questions. Well it was off the record. I can just say that I did screen it and it was very interesting meeting with the heads of different companies. I think they were unprepared for Food Inc.but curious and interested. They weren’t ready to have their consumers wanting to know where their food came from. It took them by surprise. How do you feel about our choice this presidential election from the point of view of corn subsidies, organic farming, and the dangers of corporations like Monsanto? Well, we might be cutting subsidies, but we’re raising insurance premiums. It could become even more expensive. I wish people would guarantee me my highest price for everything I do from now on. I think that’s a good deal. It’s hard not to do well if you’re always guaranteed the best price. And yet they’ll say look subsidies are being cut. In terms of what’s happened with Obama, it’s very disappointing that here we have a first lady who is talking about health and yet ultimately the Obama administration has been more helpful to Monsanto then the healthy food movement. But I think that they’ll still do more than the alternative. Is the government cracking down on people growing their own food as we sometimes hear? I don’t know if the government is really cracking down on people growing their own food. I’m not sure if I really agree with that. There have been rumors that Monsanto is going to make it illegal to do this or that but I don’t think that’s true. It’s just that it’s not an even playing field. People who are growing food that makes us sick have more support than people who are growing healthy food.